If you like a pun (at someone else’s expense) then you are going to love vasectomy cakes. Yes, I did say vasectomy cake. 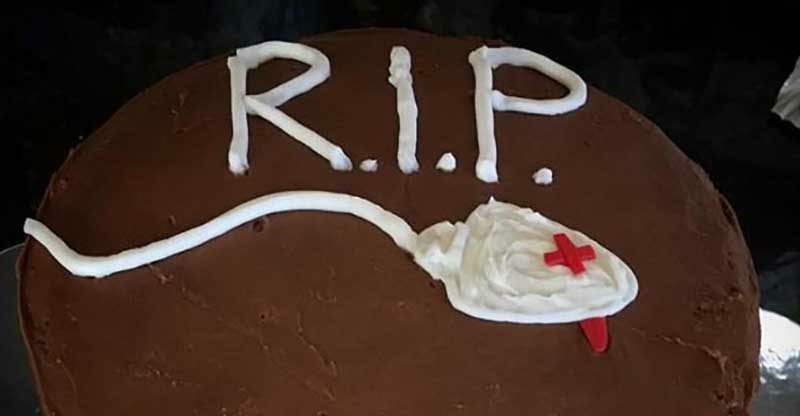 Yes, that’s right, a cake you’d make for the special man in your life when he goes for the snip. As it turns out people are meeting this life event with momentum, a bit of a party and some wild, let’s call it – creativity. The cakes themselves range across the full spectrum of humour and tastefulness, or should that be … tastelessness? We’d recommend not drinking anything hot while reading. Just in case … you might just spit it out! Why beat around the bush? Say what you mean and mean what you say with a cake that leaves very little to the imagination. At first glance it looks subtle, but peer a little closer and the poor taste metre is really tipping over with this cake. This one gets a big LOL from me. Literally. And hairy ones at that. Those stitches sure look painful. Says it all without really saying it.